Embarked AIF WW1, Sapper, SN 5518, Tunnelling Companies, Embarked on HMAT 'A38' Ulysses from Melbourne on 25th October 1916, disembarking Plymouth, England on 28th December 1916. Proceeded to France from Folkestone on 28th January 1917. Involvement AIF WW1, Second Corporal , SN 5518, 1st Tunnelling Company (inc. 4th Tunnelling Company), "The Last Hundred Days"
Help us honour Albert Davey's service by contributing information, stories, and images so that they can be preserved for future generations. Born in Ballarat, Victoria, in 1886, Albert Davey was the son of William and Mary (nee Kneebone) Davey (married 1881, Victoria). His sister, Ethel Maud Davey, had been born at Beaconsfield, Tasmania on 15 April 1883. A brother, William John Davey, was also born at Beaconsfield on 30 May 1884, but died within his first year. The family had moved to Victoria by the time Albert was born. Their mother died on 30 April 1886 and their father re-married to Mary Morrison in 1891. Albert married Margaret Smyllie (aka Margaret Smyllie Morison) in 1913. A miner by trade, Albert was of dark complexion with blue eyes and dark brown hair. He stood just 5ft 5in tall and weighed 10st. He completed the ‘Attestation Paper of Persons Enlisted for Service Abroad’ on 15 April 1916, stating he was 31 years and 9months of age. He signed the Oath to ‘well and truly serve’ at Ballarat the same day. He allotted 4/5ths of his pay to support his wife and child and named his wife Margaret, of 22 Durham Street, Ballarat West, as his Next of Kin. Albert was at the Ballarat Camp by 1 June and moved to the Miners Reinforcement Camp at Seymour, Victoria, on 8 June 1916. He embarked for the Western Front on board HMAT A38 Ulysses. 516 Tunnellers Reinforcements departed Melbourne, Victoria on October 25, 1916 at 1.30pm aboard the transport HMAT A38 Ulysses, Albert Davey being one of them. The Australian coastline disappeared from view on October 30, 1916 with the port of Durban reached at 11.30am on November 13, 1916. They felt the effects of the wind going around the Cape and arrived at Cape Town at 7am on November 19. Freetown in Sierra Leone was the next port of call where they arrived on 29 November. Their departure was delayed until December 14, 1916 as it was not safe to proceed further. Ulysses arrived at Plymouth, England on December 28, 1916, after 65 days at sea, with the troops disembarking at 1.30pm and entraining for Tidworth. Proceeding overseas to France on 26 January 1917, Albert was with the Australian General Base Depot until attached to the 1st Australian Tunnelling Corps (1ATC) on 10 February. On 17 February he was taken on strength of that unit. A stint in 7th General Hospital with mumps between 18 April and 12 May 1917 interrupted Alberts’ work with his unit. In late August early September 1917, 1ATC worked on the Hooge Crater dugouts. 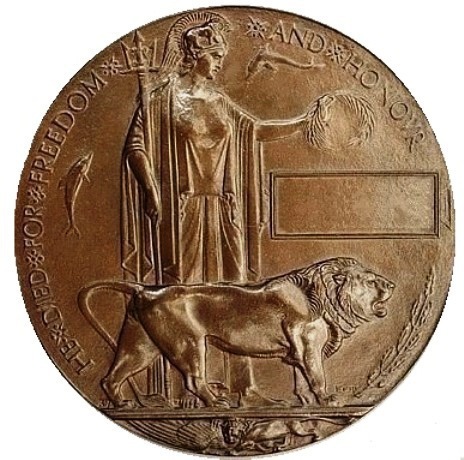 The year ended well enough for Albert when he was promoted 2nd Corporal on 29 December 1917. Albert enjoyed some leave from 28 September to 14 October 1918 before returning to his unit in time for the push against the Hindenberg Line, when his section was tasked with erecting a vital bridge to support the advance. Albert Davey, Arthur Johnson and Charles Barrett were killed in action by shellfire on 4th November 1918 during the ‘Forcing of the Sambre-Oise Canal’. Frederick Knight died of wounds received in the same action on the same day. These four 1ATC members are acknowledged as possibly the last battlefield casualties of the A.I.F. Albert Davey was part of a 1 Tunnelling Company detachment supporting the British Army's assault crossing of the canal, when he was killed in action on 4 Nov 1918. He was among the last AIF KIA and arguably the easternmost on the Western Front. 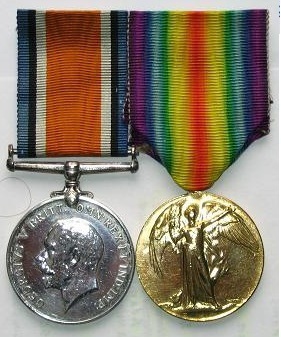 Four VCs were awarded in the course of this operation, and British Poet Laureate Wilfred Owen was killed in action during the course of it on the same day.